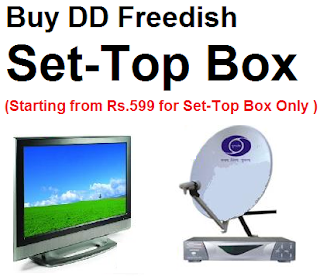 Doordarshan Prasar Bharati has decided to conduct its 14th online e-Auction process for filling up the DD Freedish DTH slots on 11th and 12th August,2014. The e-auction will be conducted by M/s. ITI Ltd., New Delhi on behalf of Prasar Bharati (DG:Doordarshan). The reserve price is for this e-auction Rs.3.00 Crore., but the participation amount (EMD) in the 14th e-Auction is Rs.1.50 Crore which will be deposited in advance on or before 11-08-2014 (Monday) latest by 12:00 noon along with processing fees Rs.10,000/- (Non-refundable) in favour of PB (BCI) Doordarshan commercial service, new Delhi and also two separate demand drafts favouring ITI Ltd., payable at New Delhi amounting to Rs.2247/- valid for a period of one year as e-Auction registration charges to get User ID and password in the e-Auction website and e-Auctioning Agency fee Rs.8427/- as participation payment to the ITI Ltd. The applicants must provide their email address, contact numbers & Uplink/Downlink permission documents received from the concerned ministries with the Applications otherwise their application will not be entertained in any case. The demand drafts of unsuccessful Bidders will be returned immediately or within a week after the e-Auction process is completed. 1. 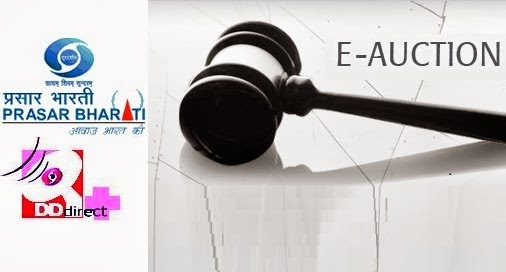 For participating in the above e-Auction, the bidders shall have to get themselves Registered with e-Auction website https://www.auctionwizard.in/PB by paying two separate Demand Drafts amounting to Rs 2247/- valid for a period of one year (Including tax) as e-Auction registration charges in the e-Auction website of ITI Ltd to get User ID and Password. 2. The bidders are required to make participating payment to the ITI Ltd. as e-Auctioning Agency Fee Rs.8427/- (including tax) valid for the entire 06 round by round staggered 14th e-Auction of 06 DTH slots on 11th and 12th august, 2014. 3. All the payments are to be deposited by way of demand draft favouring ITI Ltd., payable at New Delhi. 4. Mandatory documents copy required are PAN card, VAT/Service TAX/ company's Certificate of incorporation and a request letter on letter head of respective company addressing M/s ITI Ltd, New Delhi for the willingness of participating on 14th e-Auction. For any clarification / Help regarding e-Auction bidders can contact on 011-49424365 or 8800723666 / 8800115628. 5. Bidder may refer to the “e-Auction” help manual on website https://www.auctionwizard.in/PB for the e-Auction process. 6. Any corrigendum / addendum / corrections, if any shall be published on the above website only. The bidders should keep checking the website. 7. The Mock Drill of e-Auction shall be provided to the bidders before the Commencement of e-Auction from 1.00 P.M. to 2.00 PM on11-08-2014 (Monday) by the ITI Ltd.
8. ITI Ltd. is responsible to provide valid username and password to the bidders before the commencement of Mock Drill of the 14th e-Auction for 06 slots. Note: Please note this is not original notification / Press release, before taking part in e-Auction process please do not forget to read original Press Release from DD India website. For any misunderstanding or losses this blog will not be responsible. I have typed / Copied this PR only for information purpose.